Imagine yourself flying 300ft high above the Gold Coasts broad water, seeing the skyline of Surfers paradise to as far as Brisbane. You will be harnessed up in the latest safety equipment and winched up high above our purpose built Parasailing boat for around 8 minutes fly time. This is a experience not to be missed! Parasailing may be canceled or rescheduled due to minimum numbers or bad weather conditions that could affect your safety. Embark on a unique, exhilarating ride through Gold Coast’s outstanding Broadwater. Departing from our GC Jet Base at Sea World Resort we soon hit speeds of up to 75 kph. Speed aside, this ride also includes 360 degree spins, high speed slides, beach buzzing, fish tailing and heart stopping fun. 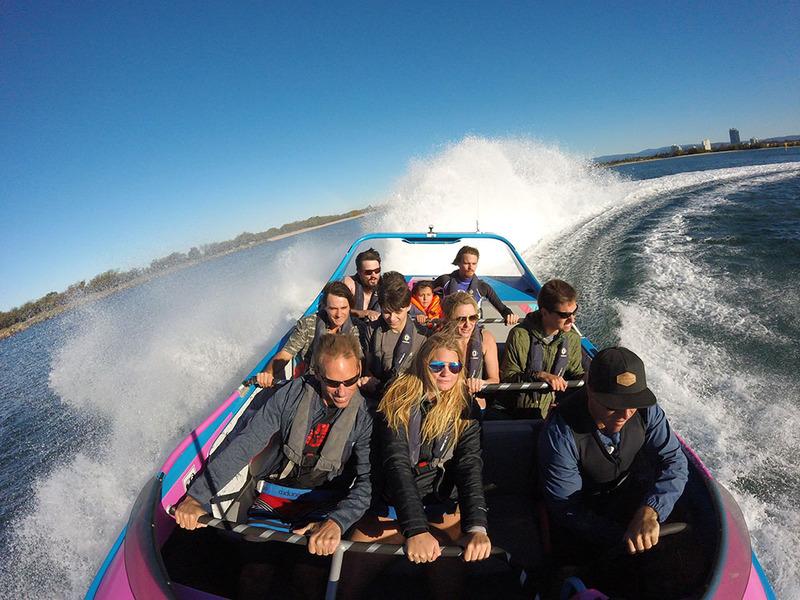 With stops at Wave Break Island & the exclusive Sovereign Islands multi-million dollar mansions this is not a ride to be missed. For the nature lovers amongst you, this ride also passes through South Stradbroke Island in the Morton Bay marine park. Each ride is tailored to the group, this is not just a thrill ride, it’s an ADVENTURE!